The first thing I like about the brushes is the overall look. I love the bamboo handles and a colours of the bristles. 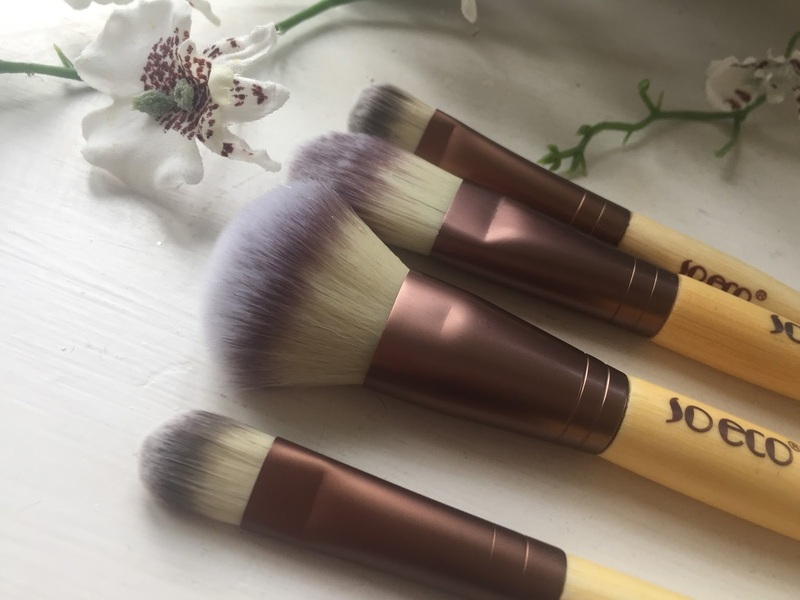 They really stand out in amongst my current makeup brush collection and even look eco friendly. The bristles are super soft and feel lovely on my skin. I'll start with the So Eco Eye shading brush and eye duo brush. The duo brush has an angled brush for precision and a larger, flat brush for all over application. The angled brush is my favourite, it's great for helping with liner, applying eye shadow with a liner or even for cut crease makeup looks. The eye shading brush is fantastic for applying all over eye shadow, using as a crease brush and it's amazing for blending! 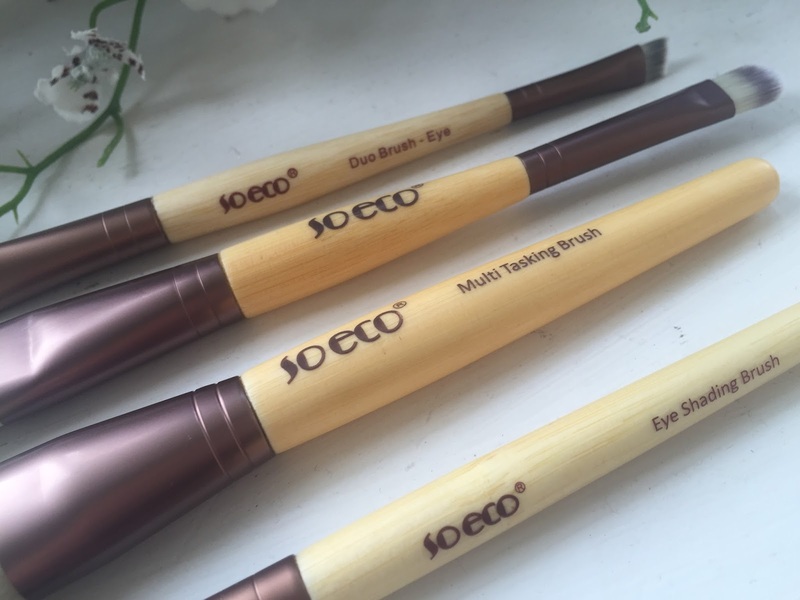 The So Eco foundation and concealer duo brush is just as great quality as the eyeshadow brushes. The foundation end works as beautifully as my Real Techniques foundation brush for giving me a flawless application. The concealer end is also amazing for working on concentrated areas for covering blemishes and brightening skintone. My favourite of the whole lot is the So Eco Multi tasking brush. It's kind of a mix between my Real Techniques buffer and powder brush. The bristles are super soft, and the shape of the brush is great for buffing foundation, concealer and contour. It's also amazing for applying powder foundation or setting powder and I've even used it for contouring and it's worked just as well as my current contouring brushes. It really is a multi tasking brush! The bristles don't malt while I'm applying, so there's no hairs left caught up in my makeup and they still look fantastic and perform just as well after they have been washed and dried. I've been so impressed with the So Eco makeup brushes that I'm tempted to buy the whole collection and so many of my friends have now converted! It's so lovely to find a brand that not only produces gorgeous looking products, but also maintains such a stong eco-friendly ethos. 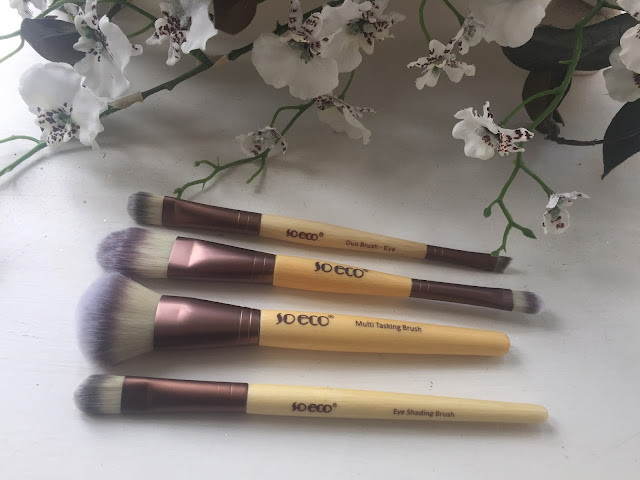 I am super excited to keep using my So Eco brushes. What do you think? Will you be trying them out? Let me know in the comments!